I visited Fukushima in 2014. Fukushima. The word – like Chernobyl or Three Mile Island – is synonymous with nuclear disaster, with the release of radionuclides into the atmosphere. 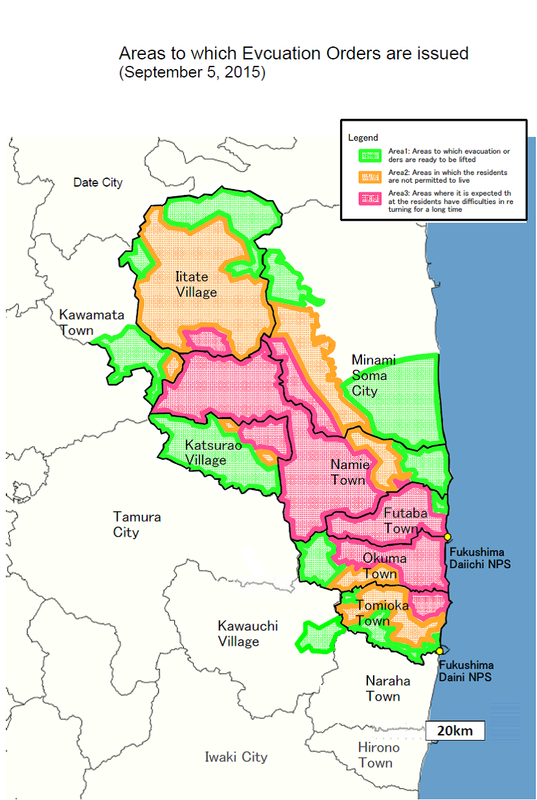 It is an ongoing disaster that began in March 2011, when the reactor cores at the Fukushima Daiichi nuclear power plant over-heated and exploded, releasing a catastrophic amount of radiation over a vast area of Fukushima precinct, formerly one of the largest farming regions in Japan and a travel destination with many beautiful landscapes. More than 100,000 people were displaced from their homes by the disaster. Today, those people are faced with tough choices: whether to return home (those who lived in areas that are now deemed “safe” by the government) and live with radiological risk, or to try to integrate in – sometimes hostile – host communities without government assistance, or to attempt to resettle elsewhere in Japan, far from friends and family. Fukushima was – is – vital to Tokyo’s prosperity, as Arts Catalyst’s recent visitor, social critic and activist Sabu Khoso explained. Fukushima supplied Tokyo with food, electricity and cheap day labourers. The pressure to revive, repopulate and restore Fukushima, despite this ongoing disaster, is immense. Thus, there is no assistance offered to those who don’t want to return to their homes because of the risk. Fukushima was a manmade disaster, caused by the negligence of Tepco (the private company running the Daiichi power plant) and poor regulation on the part of the industry watchdog and the government. Tepco failed to develop the most basic safety requirements in the case of a tsunami, despite warnings going as far back as 2006 that a such an event could cause a blackout at the plant or worse. Now it is everyone’s problem, for radiation is uncontainable and uncontrollable once released into the environment. Tepco, who profited from the production of radiation (an expensive and – clearly – risky way to heat water to create electricity), disowned the radiation after its release. It was, it claimed, no longer its responsibility. The radiation became, to use Sabu Kohso’s phrase, a “masterless object”, one that has no owner, that became part of the commons, or, rather, a negative commons: the responsibility of us all. Spread over the hills, fields, villages and cities of Fukishima, trodden and distributed regionally by departing feet and cars, inhaled, eaten and drunk, then urinated, defecated and breathed out across Japan, spread around the country in a deliberate policy of using low-level contaminated material in road works, blown into the high atmosphere, and deliberately released in vast quantities into the Pacific Ocean, to be distributed by currents and through the food chain around the Pacific basin. 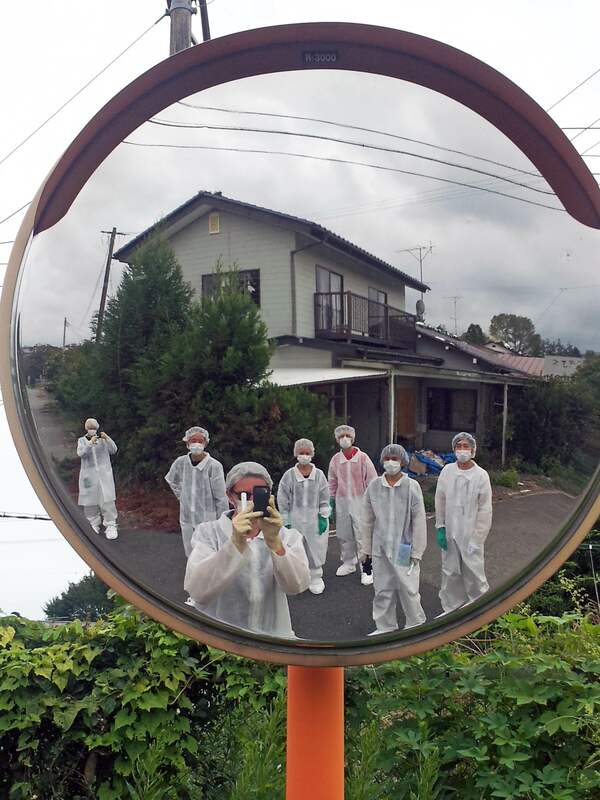 Arts Catalyst’s current programme, Real Lives Half Lives: Fukushima, is a season exploring artistic, cultural and societal responses to disaster, displacement and poisoned lands through the example of Fukushima. It asks what can art do in such an ongoing catastrophe and how citizens respond to a situation that forces tens of thousands of people out of their homes, land, and communities. 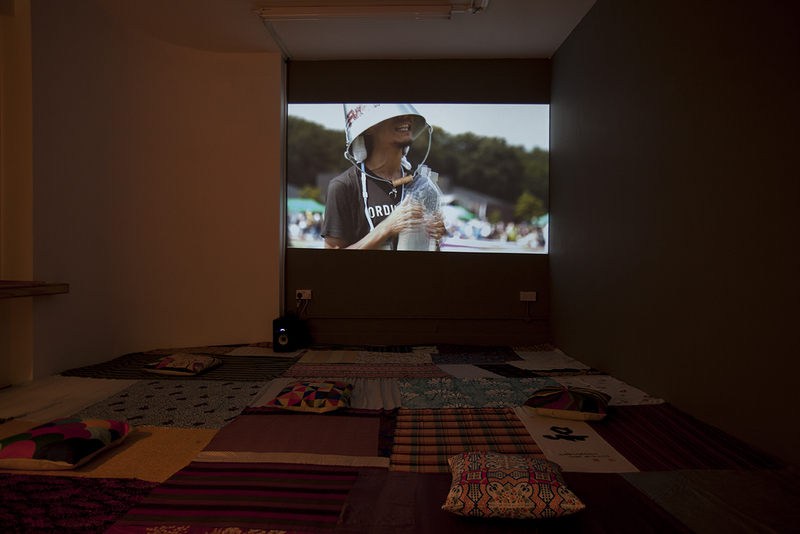 The two solo exhibitions we are showing, by the curatorial collective Don’t Follow the Wind and the artist Hikaru Fujii, have involved collaboration with displaced people in Fukushima. One of the most unsettling aspects of radiation contamination is its invisibility and undetectability (without specialist equipment), along with the uncertainty around its distribution and effects. Don’t Follow the Wind (Chim↑Pom, Kenji Kubota, Eva and Franco Mattes, Jason Waite) highlighted this invisibility and uncertainty by setting up an exhibition inside the evacuated area surrounding the power plant, in sites lent by former residents, including a warehouse, a farm and a recreation centre. The exhibition opened in 2015, but remains unseen. It will continue to unvisitable for years, even decades. 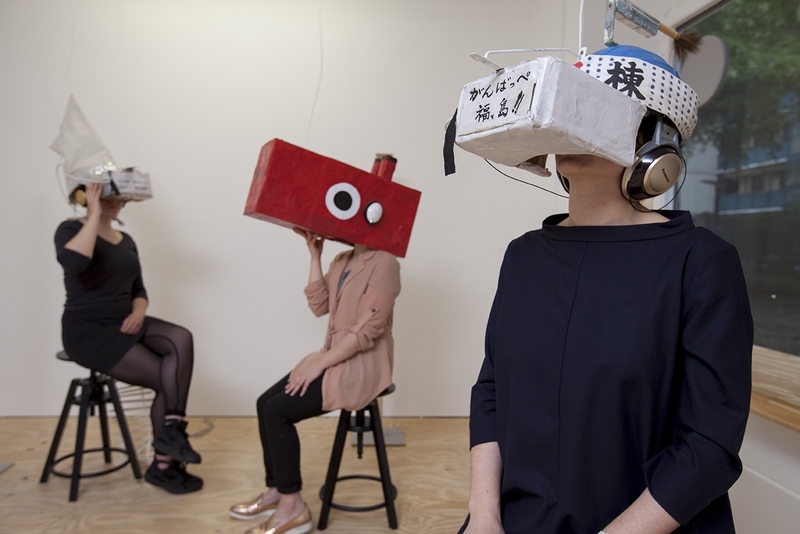 In their exhibition, A Walk in Fukushima, visitors don special headsets made by the former residents to watch an immersive 360-degree video which takes them on a walk through the inaccessible radioactive area. A Walk in Fukushima, Don’t Follow the Wind, Installation shot, 2017. Headsets made by three generations of the Fukushima family of artist Bontaro Dokuyama, who live just outside of the zone in a contaminated area deemed “safe to live” by the government. Another response to the ongoing disaster was the setting up of the Fukushima! Festival by a group of artists and musicians. 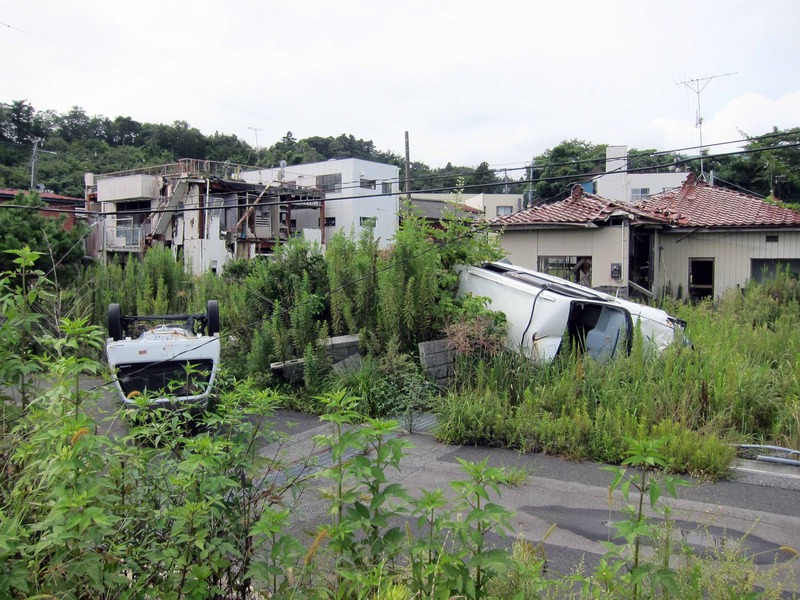 The first festival took place in Fukushima City, which is situated outside the designated exclusion zone but was still radiologically contaminated and subject to a major clean up, just five months after the disaster started. 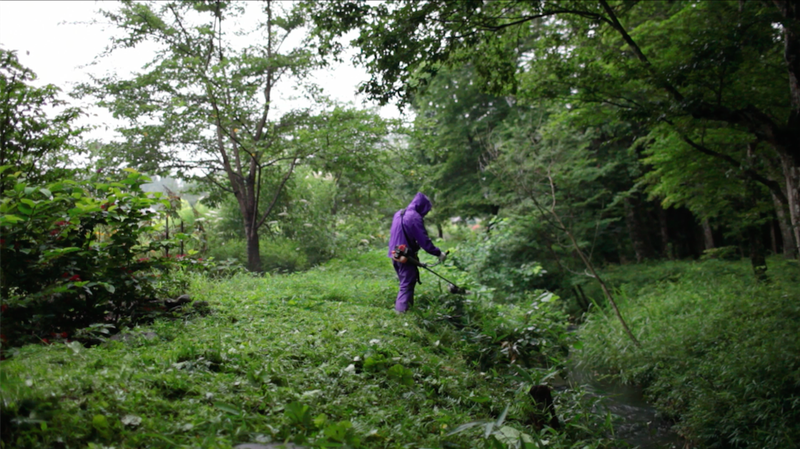 Artist Hikaru Fujii’s documentary film Project Fukushima! follows the preparations for a festival, as the organisers tussle with questions around the ethics of bringing people to Fukushima, and whether the festival should be an attempt to “rebrand” Fukushima in a more positive light or take a more critical stance. In the end, the film is both hopeful and profoundly unsettling. Project Fukushima!, Hikaru Fujii, installation, the flooring was stitched for the Fukushima festival by Fukushima City residents and has been loaned for the Arts Catalyst exhibition. Alongside these two exhibitions, a series of talks, events and activities are exploring the social, cultural and political impact of Fukushima in Japan and the lessons we may learn. These include the acts of mass protest that were held countrywide in the years following the disaster, the citizen science movement that sprang up in response to the slow release (some claimed withholding) of radiation data by the authorities, and the legal challenges and petitions against nuclear power in Japan. Despite these actions, our visitor Sabu Khoso was pessimistic that any real change in power relations or attitudes had been effected in Japanese society. Real Lives Half Lives: Fukushima continues until July 2017. Upcoming events include a series of screenings of artists’ films about Fukushima, programmed and introduced by Kodwo Eshun of the Otolith Group; a film-making workshop using the surrealist game of Consequences to make a collaborative film; talks by curators and artists; and a workshop exploring ways of working with displaced and peripheral communities.